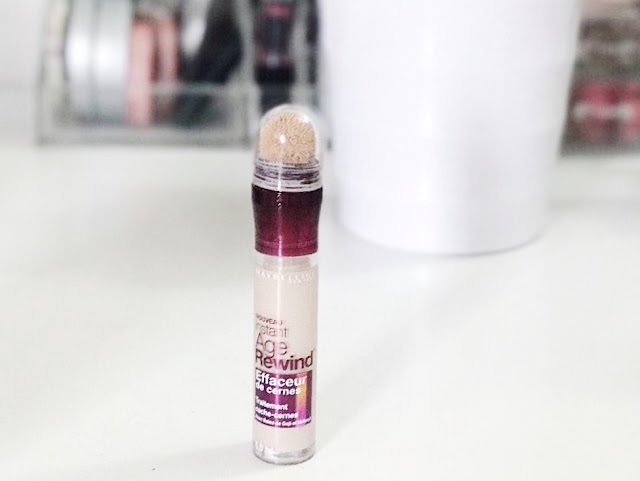 Before this concealer is available in Malaysia, I've been using the Maybelline Pure Mineral Concealer. Finally, I get the chance to buy this one sebab tengah SALE. Product name: Instant Age Rewind® Eraser Dark Circles Treatment Concealer. This super-concentrated treatment concealer features a micro-corrector applicator to help instantly erase dark circles and fine lines.The eye area appears radiant and refreshed in no time. 1. Twist the collar in the direction of arrows until the concealer is visible on the sponge (it may take some turns on first use). 2. Using the applicator, apply concealer directly to the under-eye area, blending in an outward motion. Since people have been raving about this product, memang la terus rasa nak beli tapi tunggu sale. I bought it for RM28 something rasanya dekat Watsons. It's a bit pricey for a drugstore product tapi takpelah sebab asyik sold out je, bila ada ni memang terus beli. 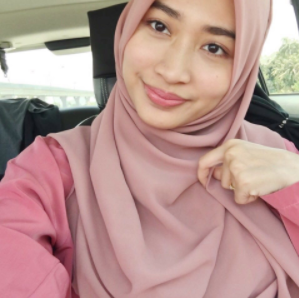 Dekat Malaysia ada dua shades je, Light and Medium. I bought the Light shade. Dah la selalu out of stock. Medium shade banyak. Based on the above picture, it doesnt really cover up my bad dark circles. 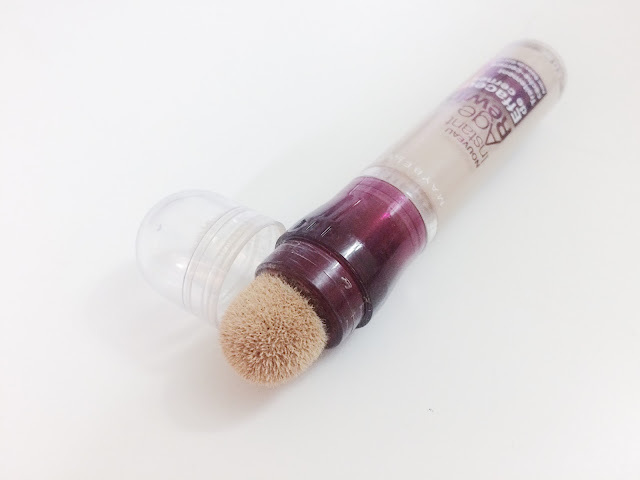 It's not thick, easy to apply and easy to blend. Tak nampak cakey and tebal. Lightweight je, tak rasa heavy bawah mata tu. I normally apply my eye cream first, before using this concealer and set it with my loose powder so that it won't crease. And it last quite long, 7-8 hours so okay lah kot. I also use it to highlight my face (bridge of the nose, forehead) and it is easy to blend. For daily use, best! 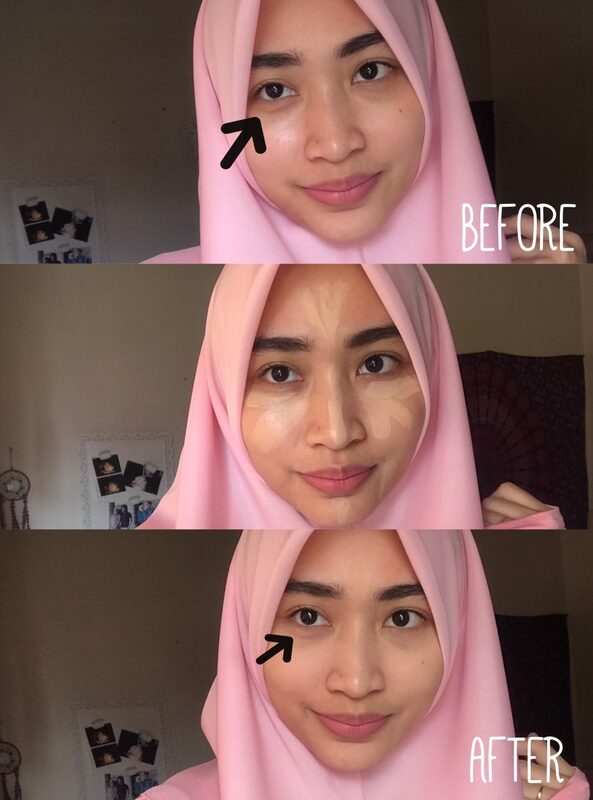 Lagi lagi kalau hari yang malas ty, just use this concealer, blend pakai jari, siap! Nampak la muka tu semenggah sikit, takdela nampak penat. Nampak fresh sikit. Yang tak bestnya, sponge dia rasa macam tak hygienic la pulak, although it claims to have anti-microbial system. And, there is only two shades available in Malaysia. I really need to try the neutralizer shade to cover up my bad dark circles! Recommended for those yang dark circles tak teruk sangat. Will repurchase kalau tak jumpa other concealer yang lagi best.